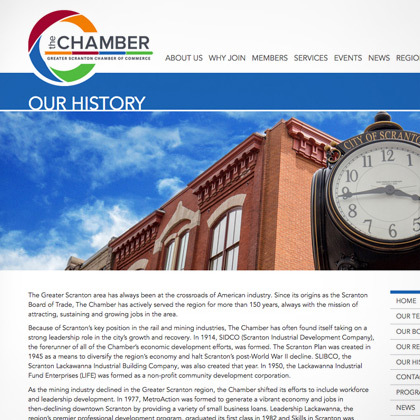 BlackOut Design has had a long-standing relationship with the Greater Scranton Chamber of Commerce as we have been supporters of the organization and its mission for many years. 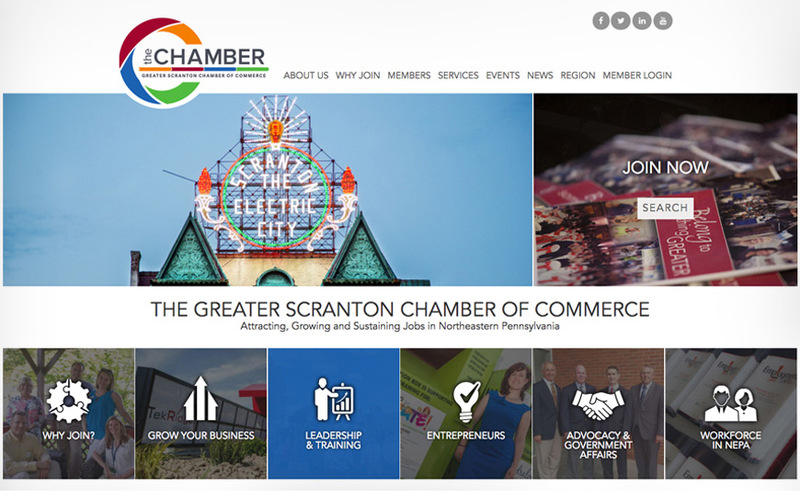 When we were selected to create a website that aims to help attract, grow, and sustain jobs in Northeastern Pennsylvania, the team was keen to make an impression. 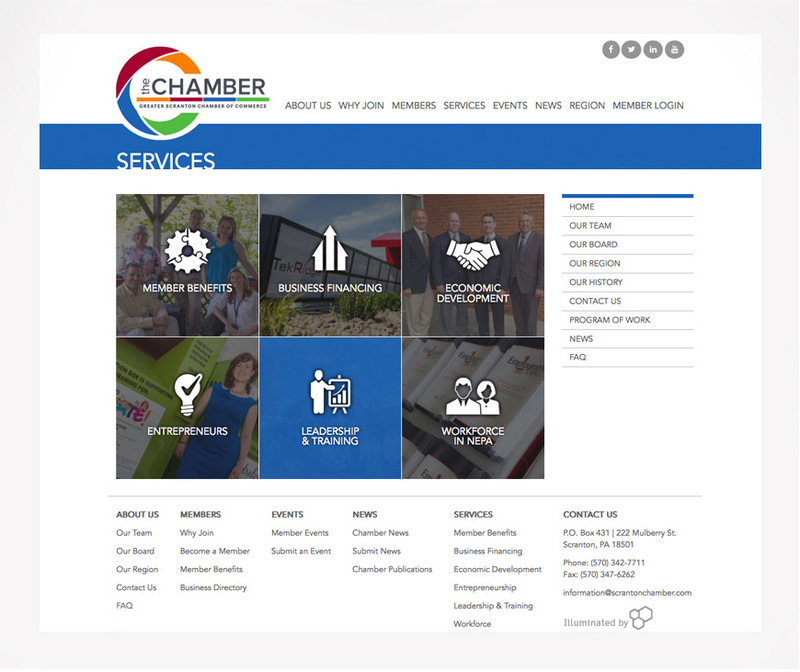 Our goal was to help the organization sharpen their online presence and market their services digitally. Using photography highlighting the local economy brightens and modernizes the site while information is segmented by audience for ease of use. 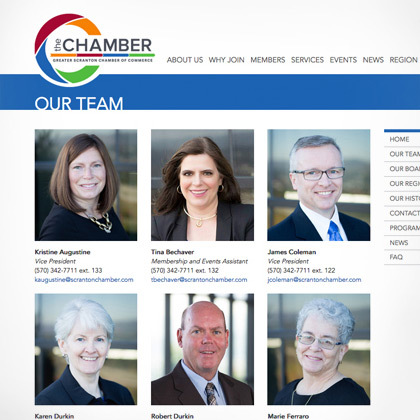 In addition, the site was built with a responsive framework meaning it is as impactful whether viewed on a phone, tablet or desktop, and social sharing capabilities help to increase website traffic. As always, analytics was tied into the site to track user data and ensure staff can measure ROI.